and that means Penny Leis!! I made one for my nephew with his school colors of red, black and silver. 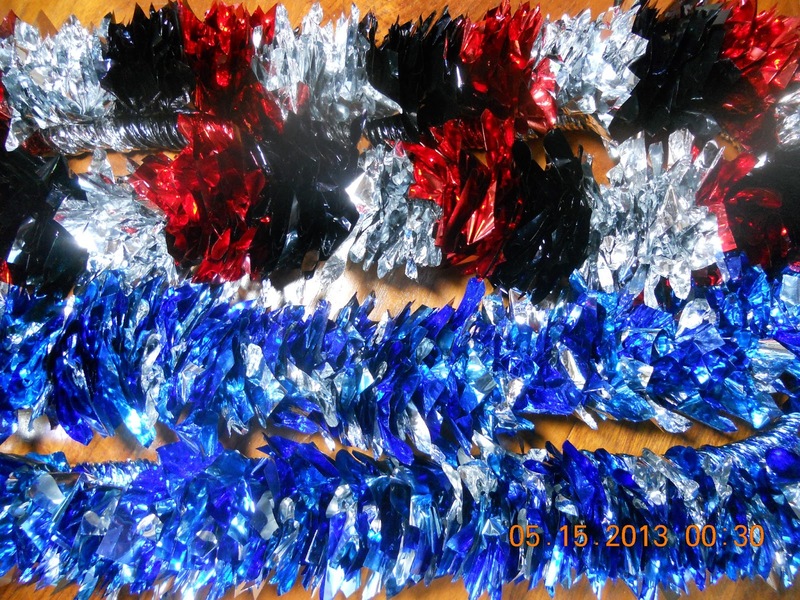 I used dark blue, light blue and silver mylar to make the blue lei for his grilfriend who loves the water!